Ester and Arthur Brooks and Paul Wolfowitz Co-hosted the October 15th “Friday Night Dinner” at AEI’s Executive Dining Room on the 12th floor. Views of downtown DC and a spectacular Fall evening sky was enjoyed by the service members and their family members during a delicious reception and dinner. Arthur Brooks (President of AEI), Danielle Pletka (VP Foreign & Defense Policy Studies), Tom Donnelly and Gary Schmitt (AEI Defense Scholars) warmly greeted the service members and their families and spent the evening engaged in conversations and laughs with all. Several provided copies of their recent books and gladly autographed the books with special personalized notes. 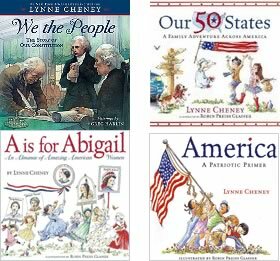 Senior Fellow, Lynne Cheney was unable to attend but provided copies of her wonderful books written about the tales of America’s past and the founding principles of our country for our nation’s youngest citizens! Service Members and their families were all delighted to receive autograph copies of Lynne Cheney books to bring back for their children, nieces, nephews, etc.